After the distillation of these eight botanicals, saffron is added; this is because the saffron would be lost in distillation. This is similar to the way in which Hendrick’s adds cucumber and rose to their gin post-distillation. 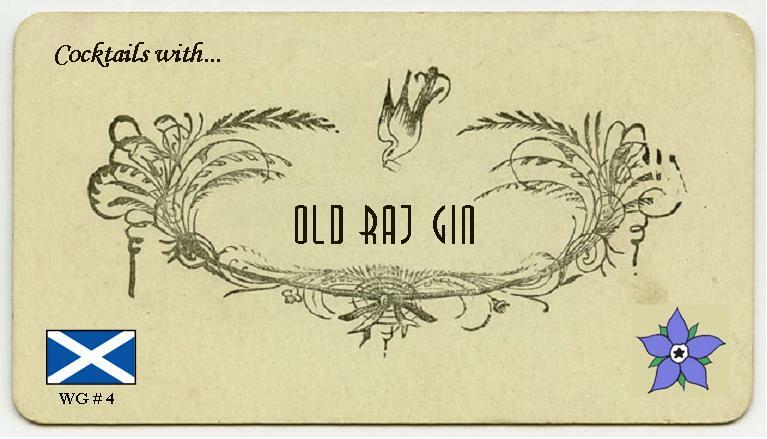 It is the saffron that gives Old Raj Gin its distinctive pale golden colour. This production technique means that Old Raj is classified as a Distilled Gin. Soft and quite smooth, with subtle, complex flavours of fruit and spice. Distinct citrus flavours; refreshing and flavourful. Simply wonderful; most folks would go back for a second glass. Easy to drink with less pronounced juniper notes than some gin and tonics that are nonetheless well-defined. Strong juniper; rather classic with a twist of spice. The gin made it incredibly warming, although it does smooth off towards the end. Flavourful with a lemony element. Neither of the ingredients overpower the other and there is a very full mouth feel, not unlike Roses’ Lime Marmalade. Not as crisp as most Gimlets, but still pretty good. Thirst quenching, quite sweet, fresh and gingery. Quite intense and bitter, saffron seems to come through (at least its bitterness). It’s intensely herbal and very bitter. Quite strong alcohol on the nose with juniper and coriander notes coming through, too. The taste is spicy with heavy citrus, almost to the point of being sherberty. Complex with a good portion of juniper and a touch of burn on the tongue. The flavour is fuller than the Red, but there is more burn from the alcohol. Strong flavour, in particular citrus, with additional hints of pine and vanilla. The juniper seems quite fresh rather than dry. Greater flavour than the Red and the additional alcoholic strength is immediately noticeable: this is drink that doesn’t do things by halves. This may be too intense for some people, but, that said, it surprisingly seems to have less burn than the Red version. The flavours of the lime cordial and the gin seem more distinct from each other in the Blue Gimlet. The gin is more intense and, like the Martini, the drink is obviously more alcoholic. Bitter but more smooth, rounded and easier to drink than the Red. The Gin is more prevalent and it is evident that this is quite a strong drink, perfect for a Friday evening. I think both varieties of Old Raj Gin are seriously underrated and, whilst the Red is a great everyday gin, the Blue is good when you’re looking for something a bit special. The two gins are very classic in style and this is shown by the fact that the best cocktails for the two were the Martini and the Gin & Tonic. 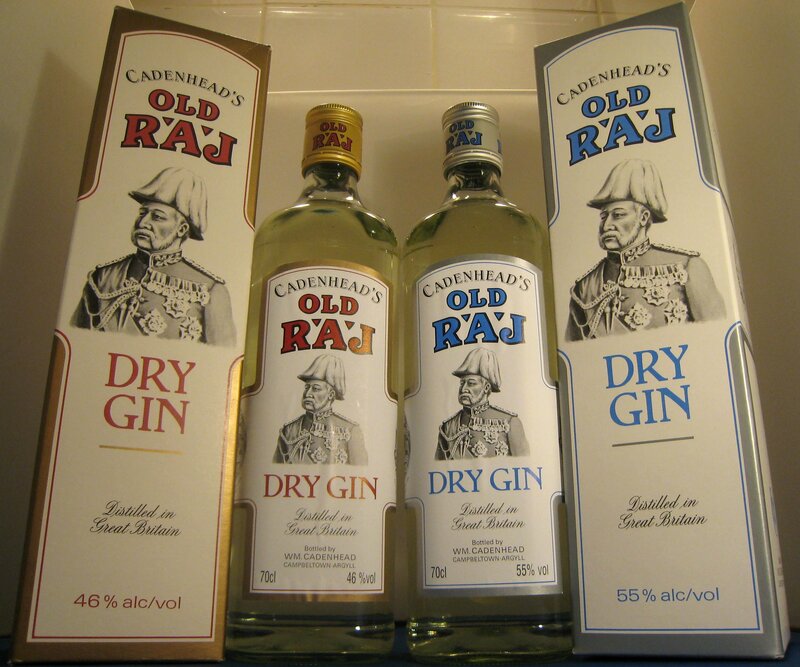 This entry was posted in World of Gin and tagged cadenhead, cadenhead gin, old raj blue, old raj gin, old raj red, old raj strength, saffron gin, scottish gin by DTS. Bookmark the permalink.